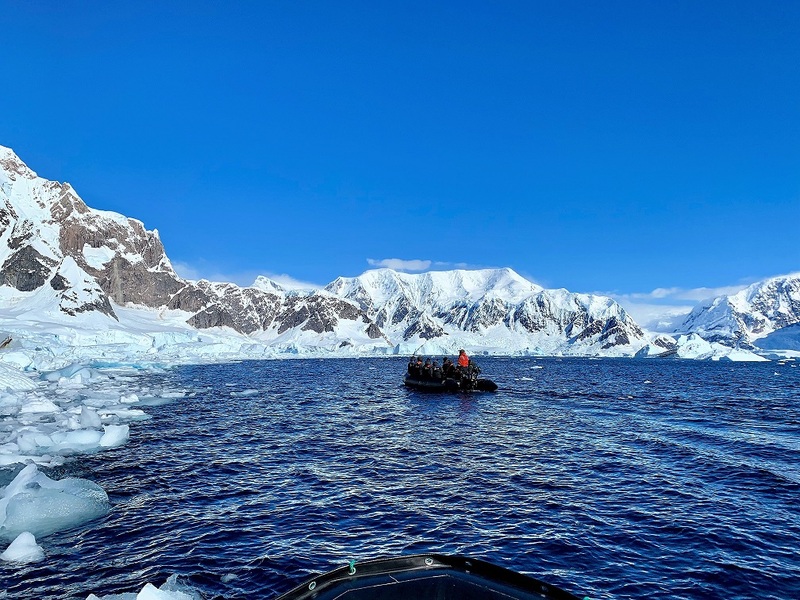 Visiting Antarctica is, without any additional stress, an exercise in leadership agility. Add into this 90 women (including the faculty) and a very big mandate to support significant leadership development with a focus on the health of our planet, and the weather changes test the emotional resilience of all of us. North easterly wind has pushed different types of ice together (packed ice). There was winter ice from last year, newly formed sea ice from this year and bits and pieces of glacial ice (the size of a car). The problem was we could have gone further south, into the ocean, or to Vernadsky Station (our scheduled Ukranian site visit) but the ice was most dense around the station. We could almost have walked over, or we could have had the luxury of a helicopter. Unfortunately, we don’t have a helicopter and walking would have been far too risky. This kind of ice doesn’t even break with a proper ice breaker. The Ushuaia is an ice strengthened ship – just extra sheets of metal added for safety in polar areas. But we are not an ice breaker. This is true for most if not all the ships operating in this area. This year, the ice from last year is around and it is compacted by the wind. This is not linked to climate change, just a normal phenomenon that happens in the region. It’s disappointing, it hasn’t happened on the previous two trips with Homeward Bound, but it is a great teacher of patience and good will and that abounds in this initiative. The scenery is spectacular and the content we are sharing is enabling all of us to think about our place in the world. We were hoping to land tonight to stretch our legs, but it wasn’t safe so now we hope to land tomorrow morning. But hope is not a strategy. Instead, we map out contingencies, we stand together, we collaborate, we communicate, we trust leaders tasked with mapping out our expedition to make wise choices, and we all get on with the job at hand – to become the sort of leaders our world needs. Collaborative, inclusive, agile, resilient, adaptable, loving and well humoured!